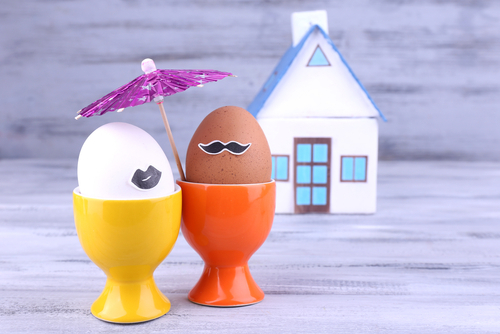 When selling your home in the fall, and as the weather becomes decidedly more winterish, you may question if having that open house is a good idea after all. Here are some things to consider before cancelling your open house. 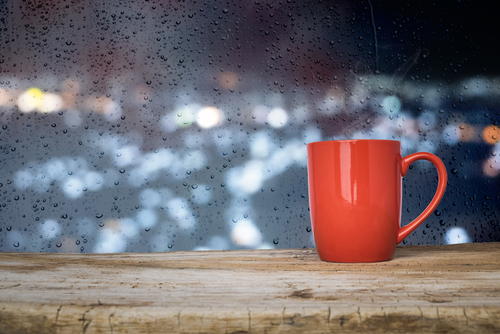 Buyers that venture out in the rain are more likely to be serious buyers and not simply curious lookers. Buyers will know that your home is warm and cozy in bad weathers. So what do you do to compensate for the weather? Turn on all the lights. You want your home to be as bright as possible so that potentials buyers sense your home is warm and inviting. Open up all the drapes, shutters and blinds. In addition, you might have coffee and to-go cups on hand so your real estate professional can send them on their way with a warm cup of brew. When a large number of real estate professionals were polled about cancelling an open house because of rain, a large number claimed they had sold several homes on rainy days. If you have questions about having an open house during the late fall and winter months, consult your real estate professionals. They know your market, and they know the kinds of people that will take the time — rain or shine — to visit their potential new home. During the Veterans Day celebrations we want to let those who served know how much we appreciate them by sharing some good news: According to the Department of Veteran Affairs, the number of VA loans guaranteed under the G.I. Bill by its Loan Guaranty Program is now 630,000. 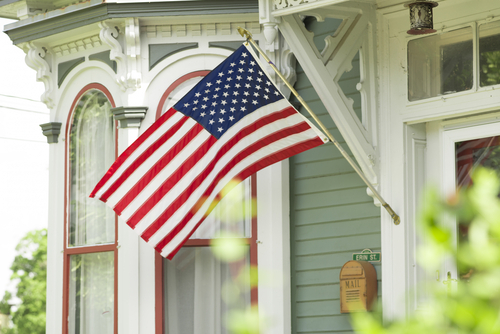 This means that more than 300% more veterans are purchasing home with their V.A. loans since the housing downturn. V.A. Loans are sitting between three and four percent and allow for up to 100% financing of your home loan. Translated that means … NO DOWN PAYMENT. This no-money down feature allows military borrowers to buy instead of rent without having to save up that large chunk of money first. In addition, unlike other government guaranteed loans, the V.A. loan does not require mortgage insurance (also known as PMI or Private Mortgage Insurance), which reduces your monthly outgo. You can use your V.A. loan to purchase your primary residents (the home you live in for most of the year). So, if you plan to spend more than six months in the warmer southern states, you can use your V.A. loan to purchase the home you plan to retire to. There’s good news for Reservists too! Those Reservists or men and women in the National Guard having completed six years of service are eligible for this benefit. In fact, if you served on active duty during wartime, your eligibility might be even shorter … as few as 90 days. This means that many more veterans might be able to get into a home sooner than they think. If you’ve already used your Veterans Affairs Home Loan benefits, you might be eligible for a reduction in your interest rates. Check out the Interest Rate Reduction Refinance Loan (also available through the U.S. Department of Veterans Affairs, to see if refinancing your loan might be useful to you. Some special features of the IRRRL are that it doesn’t require an appraisal or credit underwriting package and the fees and other costs of the loan can be absorbed into the loan or by accepting a high enough interest rate to allow the lender to take care of the costs. Another advantage of the IRRRL is that you do not need to be living in the home now. You only need to certify that you lived in the home previously (when you obtained the original V.A. loan on the home). That means that if you’ve turned it into a rental or are allowing your children to live in it, you can still refinance it with this loan. If you have questions about buying a home or need information about a lender that handles V.A. loans, your real estate professional can help. Just give us a call. The Feds have been pretty indecisive about moving interest rates up, but the down-low is that they plan to make the move upwards in December. No matter where you are in the market, whether you’re buying or selling, or just saving up a downpayment, interest rates can inversely affect your transactions. Get Pre-Approved – If you’re in the market for a home now, DO NOT HESITATE … get pre-approved by your lender. Different from “Pre-Qualified” (which just means that you have the potential to be approved if there are no hidden skeletons in your credit closed), a pre-approval means that a lender has investigated your background and credit history and is willing to loan you money. At the end of the pre-approval process, the lender will give you a Pre-Approval Letter indicating the amount they are willing to loan you and the most likely interest rate in current conditions. What this does for you – Having a pre-approval letter means that you know what price home you can afford. It allows you to shop for homes at that price or lower. It also gives you bargaining power with an anxious seller. He may be willing to reduce his price for a sure thing rather than wait for a better offer and miss his chance. When you have a pre-approval letter, your real estate agent knows you are serious about buying now and might be able to negotiate some extras for you in the transaction, too. 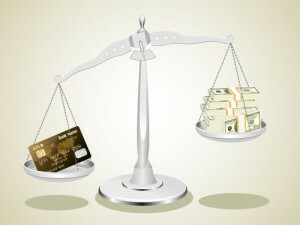 If you wait for interest rates to go up, you may have to settle for less house for the same payments. Require Pre-Approval to Accept an Offer – After you go through all the effort to negotiate and meet the requests and demands of the buyer, you don’t want the transaction to fall through just because the buyer couldn’t get financing. Many real estate professionals will advise you not to accept an offer, or even entertain one, without a pre-approval. The challenge for sellers is that once you accept an offer, you can’t reject it in favor of a better offer that might come along. It just makes sense to protect yourself from offers falling through from lack of funding. Not Great for Current Sales– Prepare yourself for the rate hike by knowing how much you can adjust your asking price to compensate for a higher rate. Discuss these variables with your real estate professional and have a plan of action in place. 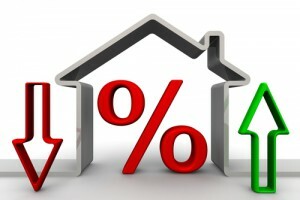 Terrific for Future Sales – If you plan to sell your home in the future, the rate increases will be in your favor because home prices will begin to rise and you can ask more for your property than you can today. The Feds resist raising rates until they think the overall economy is improving. Good News – Higher interest rates are good news for savers because over time the compounded interest will give you more money for that down-payment. Just make sure to keep investing in your savings plan because rate hikes typically signify that prices in all areas of the economy will rise, so you’ll need a bigger downpayment for the same house. If you need advice on buying, selling or saving for a home, let your local real estate professional guide you. 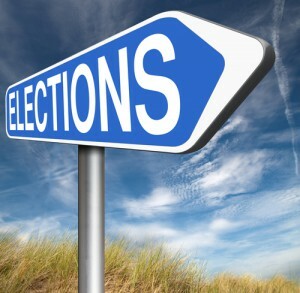 With the national elections ramping up, many voters already have voter fatigue (also called voter apathy). That is, we’re already so tired of hearing about the elections that we don’t bother to vote at all. In fact, voter apathy is quite high in the United States: Somewhere between a third to a half of eligible voters do not vote in national elections and even fewer vote in local elections. But, “the likelihood that a homeowner will vote in a local election is 65%, compared to 54% for renters” and they are 3% more likely to vote in national elections than renters. The value of your home is determined by a variety of factors, one of which is the rating of the local schools and another is the infrastructure of the community (the age and condition of the bridges, roads, drainage, street lights and other municipal projects). When a municipal bond issue comes up for vote, the outcome can affect both your bottom line through property and sales taxes, and the community desirability via new roads, better schools and protection from flooding (for example). The affect on home sales prices is not because of the specific outcome of the elections, but because consumers become more nervous about the economy during election years. When larger blocks of homeowners vote, they are placing their trust in the economy and the expectation that home values will rise. Some propositions have direct effect on your property taxes and the sharing or distribution of municipal expenses. For instance, in an upcoming election in Texas, directly changes the amount that a homeowner is able to exempt from property taxes (the homestead exemption) and makes that change a constitutional amendment … meaning that it takes another vote of the State’s entire electorate to change it. You might think that this would raise marketability to non-child families and lower marketability to families with children, but proponents believe that instead, it will increase home values across the board, thereby increasing tax revenue to schools. One aspect of participating in local elections is that the homeowner gets to know what is important to other people in their community. Being part of a community is one of the benefits of homeownership. Connecting with your neighbors to improve your schools, streets and bridges can bring a sense of civic pride and camaraderie to your neighborhood. Your local real estate professional can indicate which areas in your neighborhood adversely affect the market value of your home. If you can help improve those things now, you should, so that when you’re ready to sell, your home’s value is at its highest. Sometimes, a neighborhood appears awesome…but might be hiding some spooky, ghostly elements! You can’t know, for instance, how welcoming some neighborhoods are to families with small children unless you see small children there. If you’ve only visited the neighborhood during the workday, you won’t know if the streets fill with bicycles and skateboards at 3:00 PM when school lets out. If you’ve never been there on a Saturday, you don’t know if neighbors chat while doing outdoor chores, or if they hide indoors and hire landscapers to take care of their yard work. Your dream neighborhood might look like Mayberry RFD, but looks can be deceptive. Take the time to check out potential new neighborhoods at times when children might be visible before you buy that house! In fact, Halloween is the perfect time to visit a potential new neighborhood! 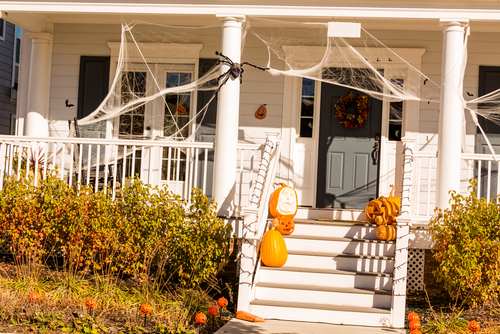 Decorations: Drive through the streets of your potential new neighborhood and check out the number of homes sporting Halloween decorations. These can range from giant blow-up black cats to “spider-webs” covering hedges and fences. Note that straw and pumpkin decorations do not necessarily indicate a child-friendly area since these decorative elements also might be in honor of “harvest” and “fall” rather than just Halloween. Signage: Okay, some neighborhoods have signs all the time that indicate the presence of children. These include playground signs, slower speed limit signs, images of children crossing streets or playing, and even random speed bumps. Some neighborhoods, however, anticipate additional children in the area by posting temporary speed limits for Halloween. Others, knowing that their neighborhood might be inundated with extra children during Trick-or-Treating will post special parking rules during that time. Community Activities: Some child-friendly communities offer more protective activities in the common areas, especially for smaller children, during the afternoon and up through early evening. The goal with these programs is to keep smaller children off the street and out of danger while still enjoying trick-or-treating activities. If the neighborhood is older and laid out in regular grid streets, you might not find a common area for holiday activities. That doesn’t mean that neighborhood is not kid-friendly, it just means you need to look for other clues. Of course, you’ll always be able to see decorations on individual homes and in private yards, but if these are just hit-or-miss, you’ll want to do more thorough investigating. One way to do that is to drive through the neighborhood on Halloween. (Note: For investigative purposes, you probably don’t want your children along because they may be disappointed.) Look for homes with porch lights ON. The traditional indication of a home participating in Halloween trick-or-treating is to have the porch light on. Of course, some homes have automatic exterior lights, so also look for the presence of someone in the home … lights visible through window coverings, too. Observe the number and age of children moving through the neighborhood from home to home. If there are few lights, little-to-no decorations and only small numbers of children, that may not be the neighborhood for you if you’re wanting lots of family activity. Also, check the community pages for fun-and-friendly neighborhoods. Many municipalities list the best neighborhoods for trick-or-treating with kids of various ages. Your real estate professional can help you determine the suitability of a neighborhood for your family’s needs and help you find the home of your dreams. Buying a home is an exciting experience. You save up your downpayment, wade through thousands of listings, find and hire a buyer’s agent, search for the perfect home, make and offer, get accepted and take the plunge. Now, you’ve moved in, repainted walls, arranged furniture, hung window coverings and settled in for the fall season. Except, you’ve never checked a furnace filter, dealt with a leaky faucet, cleaned gutters or mulched your trees. If you’ve never owned a home before, you may be unprepared for the realities of home ownership. Earth: While the temperatures remain warm enough, take care of any landscaping issues you may have. Rake and properly dispose of leaves, remove dead branches, give your lawn a final mowing and prepare it for winter, mulch flowerbeds and trees, cover any exposed dirt to protect it from erosion and check rock walls for loose stones. Inspect your foundation for cracks that may need professional repair. While you’re at it, put away outdoor furniture, toys and tools so that they’re protected from harsh winter weather and ready for Spring. 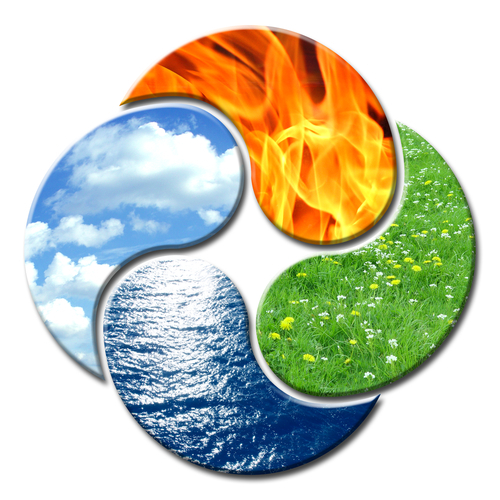 Air: One of the most important elements in your home, air, can be a friend or an enemy. Seal windows and add weather-stripping to doors for leakage. Check the attic insulation for the appropriate depth for your region. Inspect your attic fans, gable vents and other air-flow methods for proper ventilation. Winterize your AC. Remove or winterize your window air conditioners. Wash off the condenser housing of your central AC and remove any buildup of leaves, dust, insect nests, weeds or grass clippings. Have a professional check your central air-conditioning system for leaks. Fire: Your HVAC system (Heating, Ventilation and Air Conditioning) keeps your home comfortable in all temperatures, so take care of it well. Make sure filters are clean and free of damage. Have your furnace inspected by a certified HVAC technician. Check your ducts check for buildup and have the professionally cleaned if necessary. Make sure the fireplace damper works correctly so that you can avoid losing warmth through the flue and check the chimney for debris from insects, birds or prior use. Check smoke and gas detectors to make certain the batteries are new and the alarms work. Water: This element causes hidden damage in homes and requires vigilance to keep from having massive problems and expensive repairs due to mildew, mold, rot and other water damages. Outdoors, inspect your gutters and downspouts for leaves and debris. Make sure the downspouts are directed away from your foundation. Have your roof inspected to make certain you don’t have potential leaks. This is particularly true after a major weather event such has hail or heavy wind. A professional roof inspector can also advise you on weather your home might be subject to ice damage from dams and buildup. Check your faucets for drips and your drains for leaks. Make sure pipes hidden in cupboards do not leak or create condensation. If you have condensation inside cabinets from water pipes you may need to install ventilation into the cabinets. Check toilets for leaking, running or flow problems and have them fixed immediately. Check out this list scheduled by seasons to see the best times to take care of your home maintenance issues. Contact your real estate professional for information on home inspections before you buy so that you’re prepared for the upkeep to your new investment. You saved up your money and survived the rigors of mortgage underwriting, packed up your apartment, loaded the truck and moved into your new home. After several urgent days of unpacking, rearranging furniture and filling cupboards, you settle into your new place, ready to enjoy the pleasures of home-ownership. You wake up on about day ten to the realization that your new home is a cave—literally! 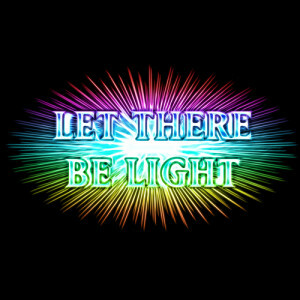 There is no light coming into your house. You know you have more space, but it feels like less. Many older homes, especially those built in warmer climates, do not have the expanses of glass that newer homes boast. Some just have tall, narrow windows and other have small windows up near the ceiling. In times past, these smaller windows acted as a conservation measure. Less light into the home means a cooler home and therefore, a lower air conditioning bill. In winter climates, smaller windows translate into less heat loss and lower winter heating bills. While your long-term plans may include enlarging window openings and installing high-efficiency windows, in the meantime, you need to lighten up your home so that you can enjoy it now. After you’ve saved up for renovations, consider skylights and solar tubes to increase your interior light without changing the historic design of your home. Your real estate professional can direct you toward contractors to help you achieve the home of your dreams. Okay, some home maintenance items just don’t make the urgent list. Changing your furnace filter doesn’t often make the cut. As we head into autumn, take a moment to check your furnace filter to get it ready for a winter workout. A filter protects the blower on your furnace from dirt and debris. Its basic function is to keep the dirt from the air out of your furnace, but specialty filters can reduce airborne dust, remove allergens and pet hair, and improve air quality. The filter’s location at the air in-take means that particle removal happens before air is heated and forced through your home’s vents. Since the air from your vents is clean, you may not notice that your furnace isn’t running efficiently, but a clogged it can lessen the life of your furnace. The extra wear and tear that pulling air through a dirty filter causes may lead to inadequate airflow, overheating and even complete shutdown of the system. Ideally, you should check your filter once a month. If your system involves just a furnace, then check the filter monthly during the cold season and again in the fall just prior to cool weather returning. If you have a complete HVAC system, the filter affects your air conditioner as well. A dirty filter in the warm season can cause the air conditioner’s cooling coils to freeze up, stressing the AC system. Experts suggest checking the filter every month and changing it at least every three. Check your owner’s manual for information on the filter’s location and the best size and type of filter to use. Determine if you have a disposable filter or a reusable filter. A disposable filter typically has a cardboard frame while a reusable one is made of plastic or metal. —Turn off the furnace system. This means shutting it off at the fuse box, the circuit breaker or a furnace cutoff switch. —Remove the cover from the filter holder. —Remove the filter from it’s housing either inside the furnace or at the return air vent. The existing filter probably has a marker indicating the correct position to install the filter so that the airflow goes toward the furnace. Make a note of this so you can correctly install the new filter. —On the new filter, look for the markings that indicate the airflow direction and match them up to the correct flow direction toward your furnace. —Remove the blower door or locate the filter in the return air vent. —Use either your regular vacuum or a wet/dry vacuum to remove dust from the filter. Vacuum the area around where the filter goes as well. —Wash the filter. You can do this outdoors using a garden hose or indoors in the bathtub or shower (although this is messier). Be sure to spray the water in the reverse direction of the airflow at the end to make certain no dust particles are left on the inside of the filter. —Allow the filter to dry completely before you reinstall it. —Check the filter for indicators of which direction should face the furnace and reinstall the filter, insuring that loops or clips are in their proper position. If this seems like a lot to do, or if your furnace filter location is awkward, consider hiring a certified HVAC service to check, change or clean your filters for you. 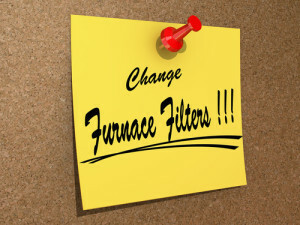 If you’re planning to sell your home, keeping your furnace in great working condition contributes to its resale value.